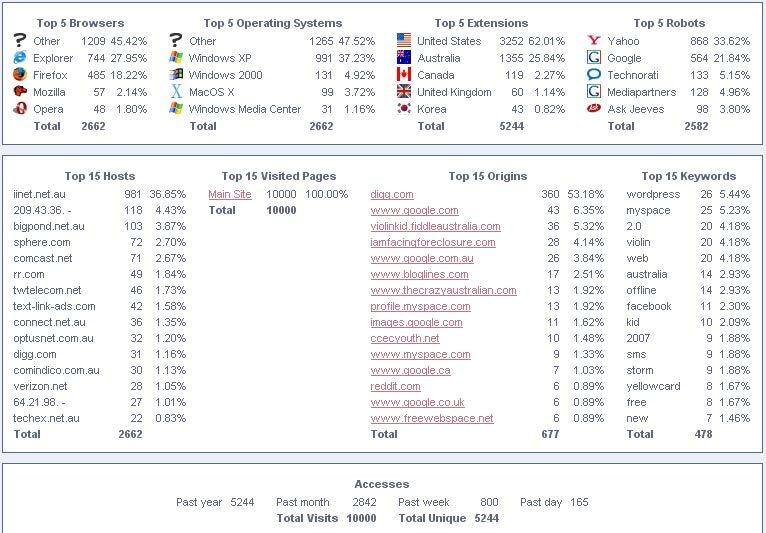 So ardorpes.com hits 10,000 page views, 100-150 Unique hits a day and 12 regular subscribers (I’m still aiming for 30 by the end of the year though..)Most of the hits have came from digg users but i must say google referrals are increasing and may overtake digg visitors very soon. Recently i even turned up in google images coming first when you type in "web 2.0"!! !